You simply must see the this boat to appreciate it and all the joy it will bring you now that you own it. 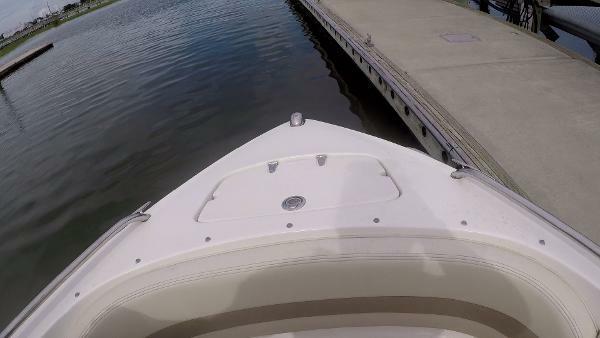 This boat is turn key. All you need is to send the meet up signal to your fun crew and an arm full of towels and its a party!!! Pick up the phone today. A great deal of thought went in to lay out and design.They borrowed the fore and aft boarding ladders from our Sunesta deckboats. The helm and cockpit entertainment center are reminiscent of a Signature cruiser. 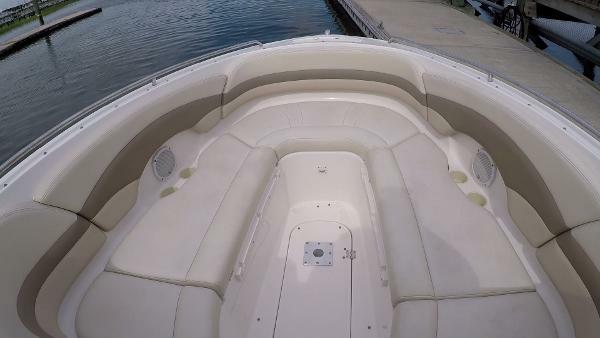 Never before seen extras include an enclosed fiberglass hideaway head that?s part of the portside dash console and a transom design that includes a walk-thru center section, a full-width sun lounge and not one but two hinged storage trunks. 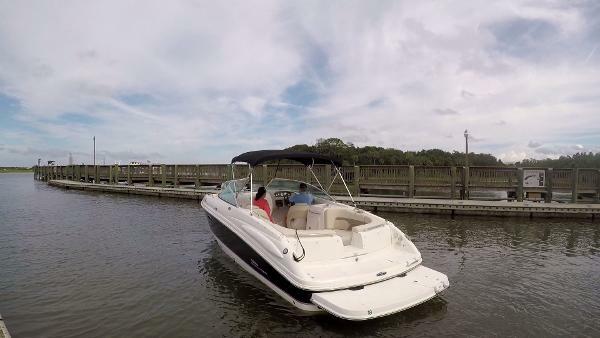 Behind the wheel you?ll enjoy a big boat feel with the acceleration and handling of a sportboat.